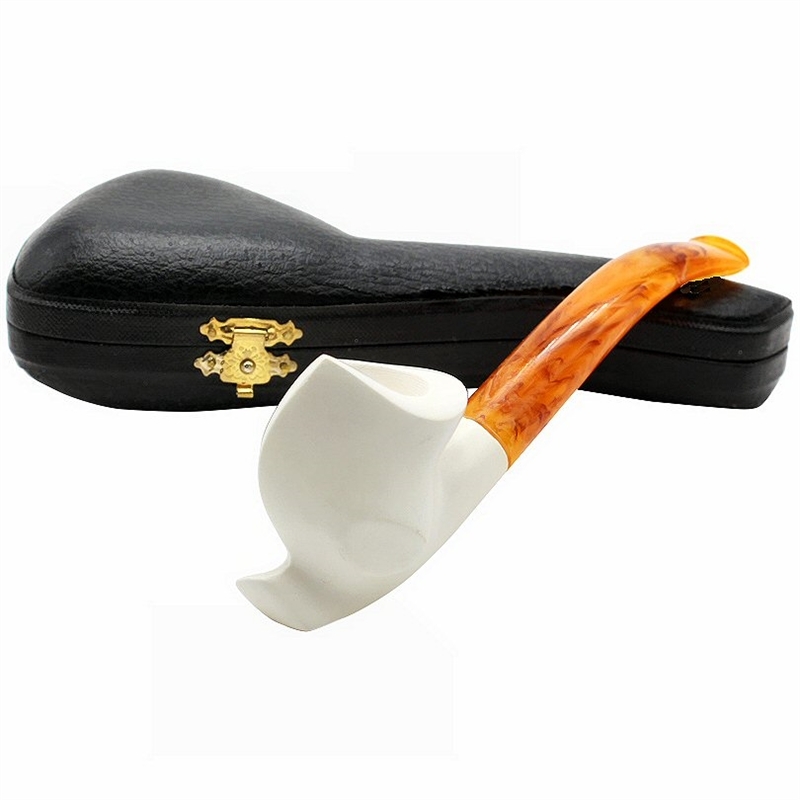 Hand Carved Freeform Meerschaum Pipe - Smooth finished freeform pipe has a nice polished look. The bent stem is a light amber color. Great pipe at a terrific price.